There is a mental illness crisis plaguing jails all over the US. More and more of the inmates being admitted in correction facilities are found to be suffering some form of mental disorder or illness. According to the GAINS Center, approximately 1.1 million persons with serious mental illness are admitted to US jails per year. Individuals who wouldn’t even be in jail if it wasn’t for their mental issues. 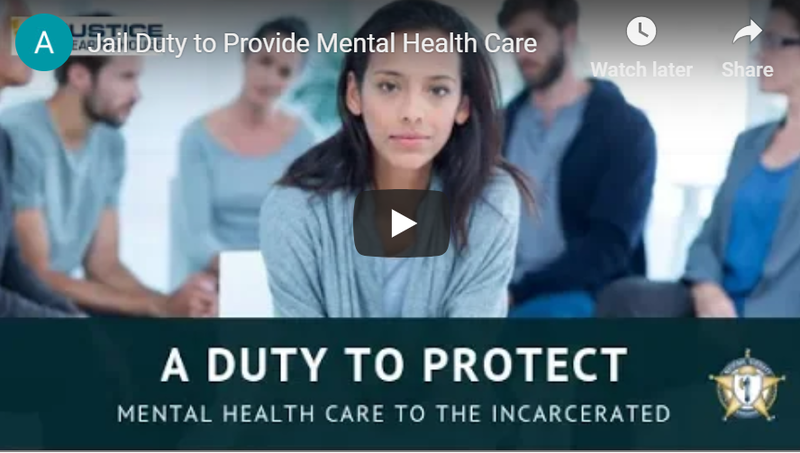 With this fact, despite jails not originally designed to accommodate and treat inmates with mental illnesses, the correctional system evolved and is now playing a critical role in health care. This course’s instructor, Carrie Hill, will discuss the legal requirements of the Duty to Protect in relation to mental health care in corrections and its ramifications. Carrie is an attorney and a national criminal justice consultant who dedicated her career in correctional law. She provides professional development seminars and criminal justice consulting to those working in the correctional industry. 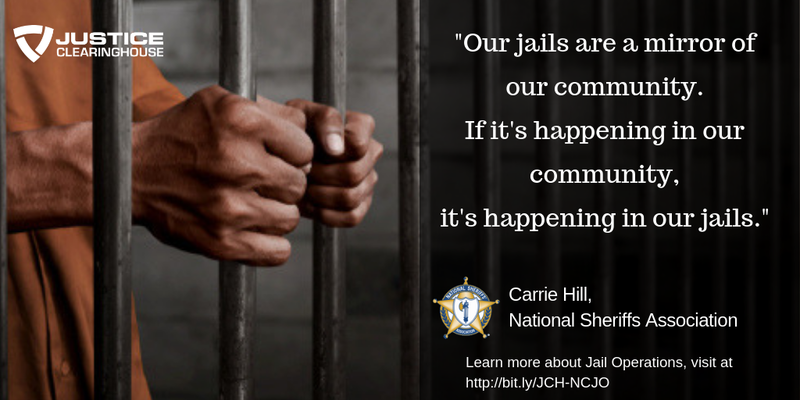 She is currently with the National Sheriffs’ Association (NSA) as the Director of the National Center for Jail Operations (NCJO). An overview of the mental health crisis in correctional facilities and cases that illustrate its extent. The legal standards for medical care rights. The benchmark cases of Estelle v. Gamble and Farmer v. Brennan that served as the framework by which legal issues related to health care within the correctional system is scrutinized upon. The Estelle Standard that is the genesis of medical rights cases that looks into deliberate indifference and conditions for liability. 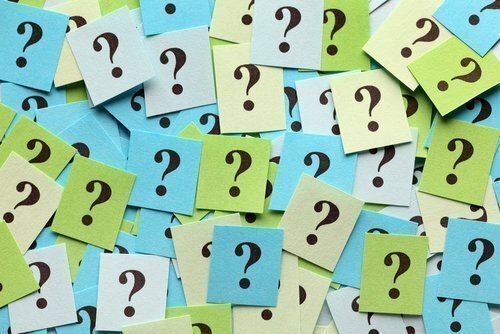 The Farmer v. Brennan case that introduced the objective test that establishes whether a condition/symptom is sufficiently serious and the subjective test that defines deliberate indifference and establishes culpability. The common defenses to liability that jails may utilize in the event of a lawsuit from an inmate arguing that sufficient care wasn’t provided. How the Prison Litigation Reform Act aims to safeguard the correctional facility by ensuring that administrative remedies are exhausted before taking legal actions, and the critical role of a grievance system to do so. Various case studies that demonstrate the different grounds that duty to protect may be challenged. Unpacking the right to refuse medical treatment and how to deal with such circumstances if the refusal is posing a greater threat to the rest of the facility. HIPAA exemptions provided for correctional institutions and the reasons for the exemption. More case examples illustrating crucial issues related to the duty to protect and its outcomes such as future harm, in-custody deaths, qualified immunity for corrections officers, and deliberate indifference. Resources and tools that may be used by the facilities to address issues related to mental health care. Stepping up initiatives to reduce mental illness case in jails through treatment services. Crisis Intervention Training for corrections staff to equip them with needed knowledge and skills. Suicide prevention protocols that follow best practices and industry standards. A list of important points to avoid deliberate indifference. Attempts to attain court orders to get inmate preferred medications/procedures/providers. Information on forced showers in correctional facilities. Inmates who are not aware of the severity of their mental illness. Coordinating with various agencies to create an effective program for inmates.